Why does the BaBylissPRO C Styler Work So Well at Straightening Short Hair? Is your old flat iron not cutting it when it comes to straightening your short hair? You should not settle for that because there have been a lot of innovative flat iron designs entering into the beauty tools marketplace lately. One of those innovative flat iron design that’s made by the popular BaBylissPRO Company has been getting rave reviews for how well it works on straightening short hair. That made us feel we needed to take a little closer look at the BaBylissPRO Nano Titanium C Styler. 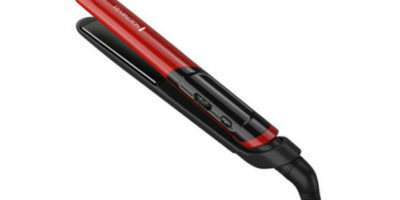 There is simply a lot to like about this model flat iron from BaBylissPRO. It has over 50 heat settings to choose from so it can be used for all different types of hair. With its heat control dial, you can choose a heat setting anywhere from 300ºF – 450ºF. 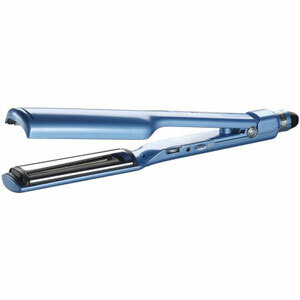 It also has very smooth heat plates which allow you to straighten your hair much faster than normal. These plates use Nano/titanium technology so they heat up fast and stay hot through the entire hair straightening process. There are no damaging hotspots on the heat plates with this type of heat plate technology either. The heat plates are an extra-long 5-inches too which also helps you speed up the straightening process for your short hair. The generous size 1 ½” wide plates also allow this flat iron to be used on longer hairstyles too. The slim and lightweight (1.3 lbs.) design of the BaBylissPRO C Styler makes it a joy to use also. It’s a very comfortable flat iron to use for straightening your short hair. 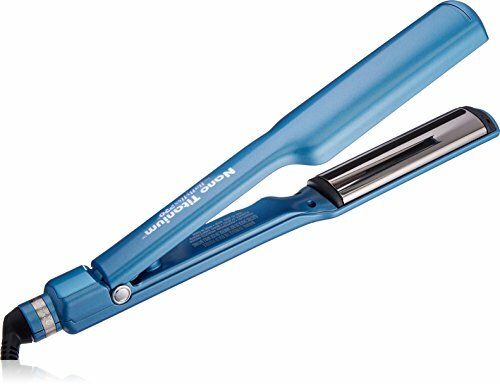 Its uniquely contoured design lets you easily position its heat plates for very efficient hair straightening. The edges of the stay cool Ryton housing are nicely rounded too so they don’t catch your short hair as you straighten or style it. The BaBylissPRO C Styler also has a very long 9-foot power cord. With its attached swivel end that provides you a lot of freedom of movement when using it too. That’s why this flat iron is a favorite of so many professional hair stylists. Thanks to its unique contour and ultra-smooth longer heat plate design you can do a lot of things to your short hair with this flat iron. Not only will it do a great job straightening your short hair but you can also create curves, waves and flips with it too. It certainly is a very versatile short hair styling tool. The Nano/titanium technology incorporated into it is nice to have also. This technology will help keep your short hair from getting damaged when you straighten it because your hair retains more of its critical moisture during the straightening process. Your short hair will also have more shine when you get done straightening it with this flat iron. 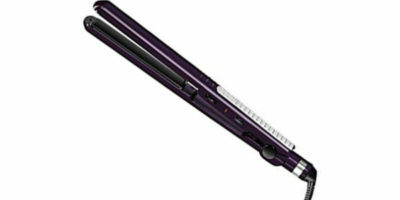 As usual BaBylissPRO has decided to back this flat iron product up with a very good warranty. Once you purchase it you will be covered by a period of 4-years against manufacturing defects and product failure. That is above the industry standard for flat irons in its price range. One thing that does not thrill us about this flat iron is its rheostat temp control. It only has numbers marked on the dial so you have to guess what temperature your flat iron is actually working at. The BaBylissPRO C Styler is also a little tricky to use at first. This is especially true when you are trying to add curl or waves to your short hair with it. You will need to practice with it some before you get good at it. We find fault with very few BaBylissPRO styling products and it’s the same with this model flat iron. Its overall performance level is very good. The BaBylissPRO C Styler gives you over 50 temperature selection options and its ultra-smooth barrel design helps you quickly straighten your short hair. Its included Nano/titanium technology is a huge bonus that helps protect your short hair and give it shine as you straighten it. Anyone who is looking for the best hair straightener for short hair to style it quickly and safely should consider this BaBylissPRO flat iron for purchase. Best-Selling Flat irons for Short Hair! Ceramic VS Titanium Flat Irons – How Are They Different?